I am a naturally very positive person. But, like with anything...I have my moments. Having a positive attitude and a "glass half full" approach to life is something I make a conscious effort to strive for. Much of this outlook is how Thriving Wives got it's foundation of "Strive to Thrive"; focus only on the positive and make sure your energy is aligned to feel good. Sometimes this is easier said than done, especially for me this time of year with school starting again. 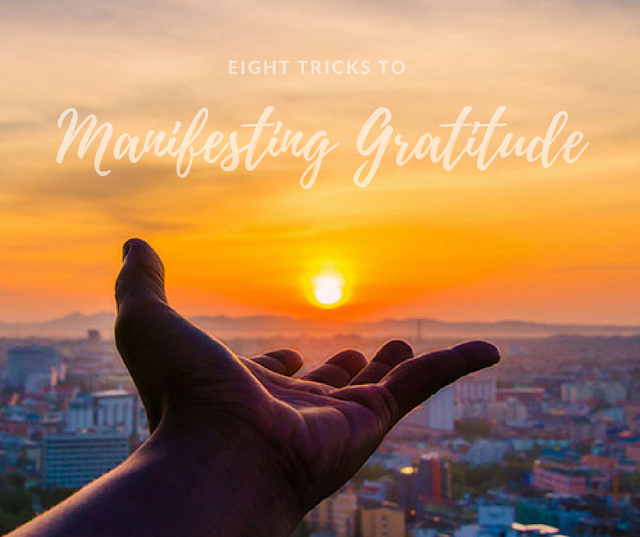 Here are eight tricks I use to help in manifesting gratitude and feeling positively charged and powerful! 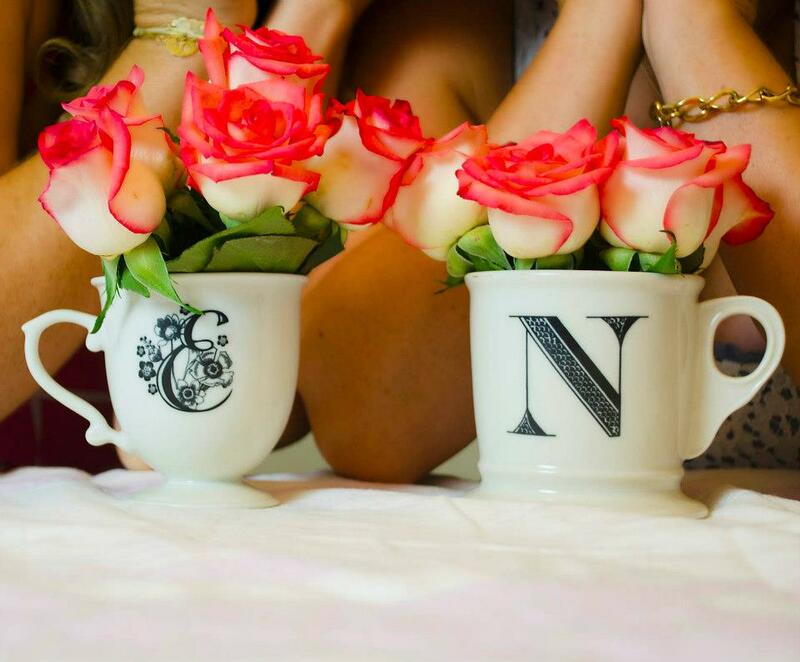 THINK IN THREES - Start off each morning identifying three things you are grateful for. The more specific you can make them the better. For example, "I am thankful to have a career which allows me to work part time. I am so lucky to have found a position in which I am able to work every other day. I am thankful to have the opportunity to be a (majority of the time) stay at home mommy with my three boys". Say them aloud or write in a journal or share with someone. CHANGE YOUR STATEMENTS. Learn language to emphasize gifts, blessings and fortune. Take a moment to think about what you are feeling and identify the positive rather than focus on the negative. For example, I struggle with having to work part time when I want to work no time so I can always be with my babies. But, I am incredibly lucky to have the opportunity to work part time when many other mommies I know do not. Therefore, when I feel saddened (typically when I have to leave in the morning) and frustrated (typically when I am leaving school) I change my statement from, "Ugh, I hate work" to "While today may have been a challenge, I am so thankful I have tomorrow to be with my boys". BE SPECIFIC. 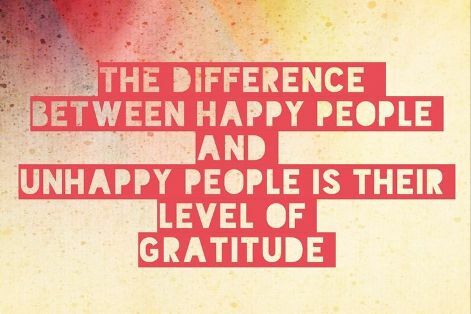 When you say thank you to someone, make sure you explicitly identify what you are thankful for. For example, I try not to just thank my Thriving Mommy for all she does for me, it's too general as she does so much. 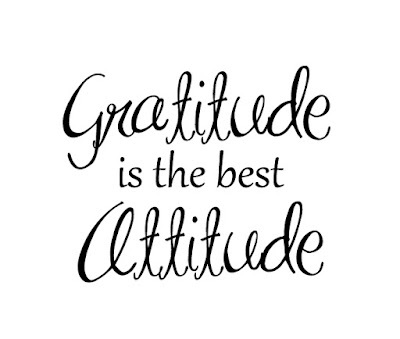 Instead I try to identify exactly what I am grateful for and why, "Mommy, thank you so much for taking the boys this morning, it allowed me an hour to focus on a great workout which made me feel refreshed and reenergized. I appreciate you offering to take them". WRITE A LETTER. Long lost is the written word...and by written I mean hand written...on paper. So, take the time to actually write (not email, not text) to someone who made a positive impact on your life and tell them how it changed you. VOLUNTEER. It is easy to see just how good you have it when you volunteer to help those in need. Donating your time is a great way to shift your perspective from what you don't have to what you do. THANK OTHERS. It is easy to thank those who directly helped you, but what about those who helped people we care about. For example, thank a caretaker who showed love to someone you care for or a nurse who made it a priority to ensure your child felt safe. My Thriving Husband recently earned a promotion and I promise you when I see those fellow fire fighters who supported him in reaching his goals, I will surely give them a heartfelt (and specific) thank you. FLIP THE NEGATIVES. There are always negatives on a daily basis. But instead of focusing on those, why not flip them to be positive. Try to identify how they helped you in some way rather than brought you down. For example, "Today was a challenging day at work, but I gained strategies to help me support a student and their learning process". SHARE THE VIBES. Positivity is contagious, so spread it like wildfire. Be positive and others will naturally start to shift their perspective...or avoid you at all costs...either way, you are helping others feel good and keeping those who don't want to share in those vibes far away! Today is a new day, so let's start feeling grateful and manifesting those feelings of positivity!